I’m going to spend my Friday picking up bibs and numbers. This is my big race weekend for the winter of 2016. I traveled over 3,000 miles to be able to do a brick of a weekend. I know, not a big deal to a triathlete, but for me, cycling on Saturday and running on Sunday is a lot for me – especially at these distances. 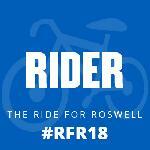 Saturday, I will hop on a borrowed bicycle and ride 25 miles with a ton of my closest – sarcasm intended – friends. There are several different distances in the Tour de Palm Springs but I picked 25 miles as it is more than I would ride on an average day but I don’t think it is so far that I will have trouble come Sunday’s half marathon. I am estimating 2 hours and 5 minutes for the ride. Who knows? Maybe, as it happens in my running races, I will cycle faster because there are other people around. Check back on Monday to see how long it actually takes me. Sunday I’ll head to Palm Desert and do a half marathon. I am a bit unsure how Saturday’s 25 miles will effect my running but I am estimating 2 hours and 40 minutes on the half marathon. It is a fairly simple course, a true loop. There are hills but I do not think they are as big as the hills I have at home. Again, check the beginning of next week to see how I managed. Are you racing this weekend? What distance? Where? Previous Post Do You Re-Run Races?